Fairy Tale Fandom: Scary Tale Fandom Special: Scary Stories to Tell in the Dark. Scary Tale Fandom Special: Scary Stories to Tell in the Dark. I am holding here in my hands possibly one of the most popular collections of American folk stories to be read by American schoolchildren from the ‘70s to today. And the collection has nothing to do with fairy tales. Ghost stories, scary stories and tales of the supernatural are not a uniquely American phenomenon. However, they’re one of the only forms of folk stories that still evokes the oral tradition in the United States. While fairy tales and other legends evoke images of movies or big hardbound storybooks, scary stories evoke images of people huddled around a campfire telling tales from memory. 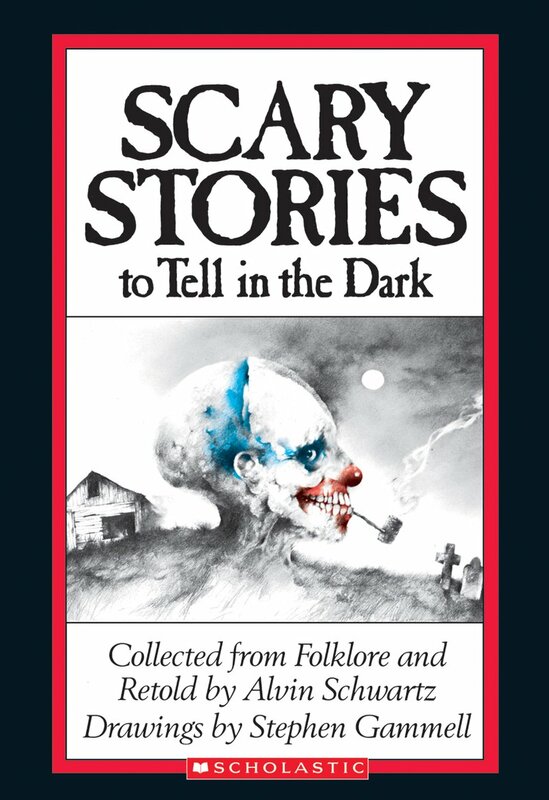 The Scary Stories series consists of three books: Scary Stories to Tell in the Dark, More Scary Stories to Tell in the Dark and Scary Stories 3: More Tales to Chill Your Bones. All three are written by children’s author Alvin Schwartz with gruesome illustrations by Stephen Gammell. Schwartz is no stranger to folklore, having also written books based around tongue twisters, wordplay, jokes and superstitions. The illustrations, while suitably creepy and atmospheric, are probably what makes these books some of the most challenged books to be put in a school library. As expected from a collection of campfire stories, these tales tend to be short and not-so-sweet. About a page and a half. Just long enough for the setup of the situation and the scary payoff. Still, even though the stories are short, there’s a nice variety of them. There are “jump stories” like “The Big Toe” which call on the teller surprising the audience. There are spooky songs and poems. There are classic urban legends like “The Hook” and “High Beams”. There are stories that have laughs along with the chills like “The Viper”. There’s even an adaptation of the Native American story of the Wendigo. They’re good collections. Last year, I even picked up a story to tell from them for a Halloween get-together. There’s supposedly a movie adaptation in the works from Guillermo Del Toro. I’m not quite sure how that’ll work, since pretty much no one makes anthology movies anymore. 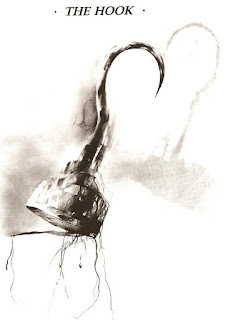 If you haven’t looked at the Scary Stories series since you were a kid, you might want to check them out. You may just find a chilling tale to tell the next Halloween night.